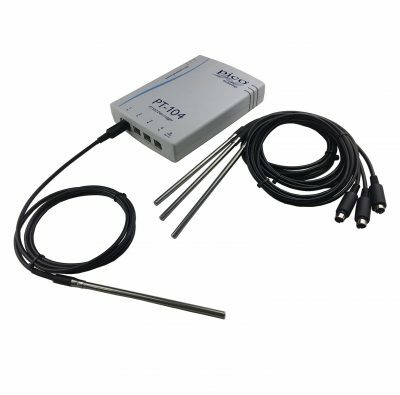 PT104 Platinum resistance Temperature kit, comes supplied with 1 x PT104 data logger and 4 x SE011 PT100 general purpose probes. 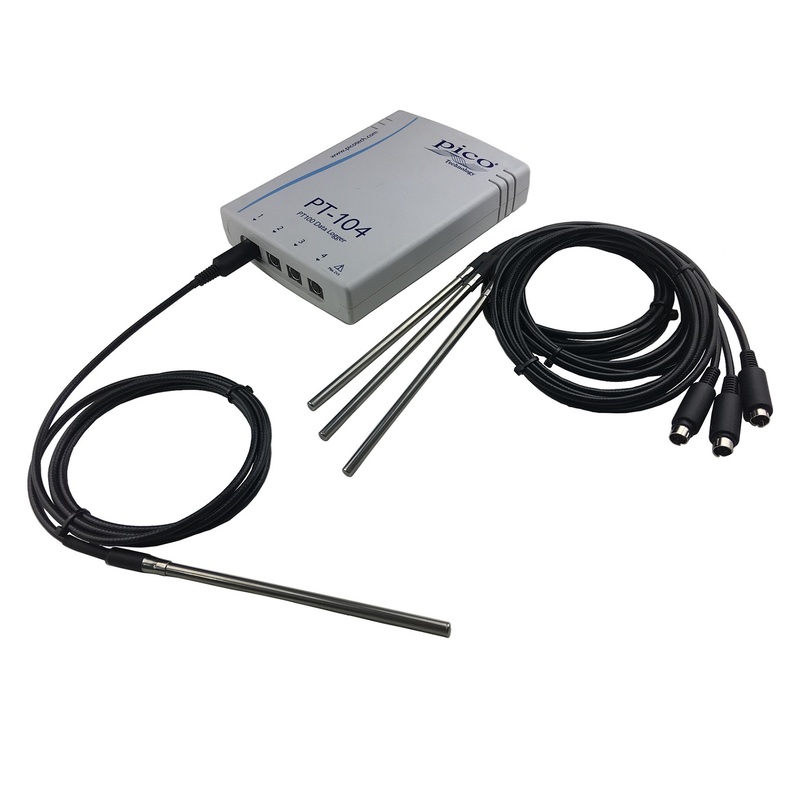 The PT-104 is a four–channel temperature measuring data logger. It offers the ultimate in resolution (0.001 °C) and accuracy (0.015 °C). Along with temperature it can also be used to measure resistance and voltage.